The Bogs story may have started in the unpredictable climates of Oregon, but Bogs footwear is no less suitable for Canadian weather! The popular footwear brand offers fun, colourful designs and innovative technology that keeps feet warm and dry no matter what the day throws at you. RAID THE BOGS SALE SECTION! 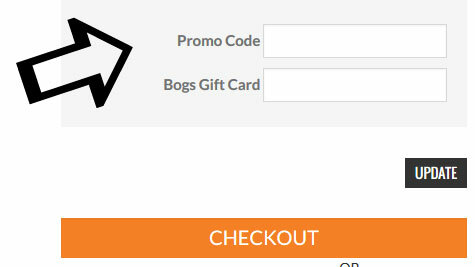 Although most adult styles will cost around $80+ and kids shoes will be only slightly cheaper at $50+, the Bogs Canada website features an expansive sale section that has hundreds of styles at up to 50% off. The selection and the prices here tend to be better around season's end, so be sure to check back to see the latest reductions. Did you find an active Bogs code? You're in luck! Click on the deal and copy the code from the pop-up window. Start shopping the selection on the website, being sure to drop by the sale section for a quick peek at the latest shoe markdowns.Then head over to the checkout area by clicking on the "My Cart" link at the top of the page and selecting "Checkout". In your order summary, paste your code into the "Promo Code" field below the subtotal. Bogs Canada sell the best in waterproof footwear for the whole family. Built with durable rubber and leather, they are built to last while looking great. We’ll sweeten the deal with the best discounts and even free shipping.